The starting point for Alert generation is always a Metric. 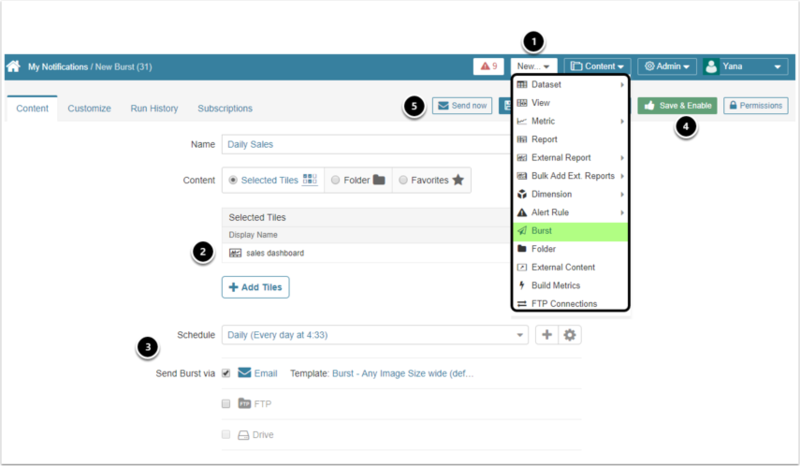 Once you create a Metric to trigger Alerts, you can perform additional functions. Chose the element from the dropdown. 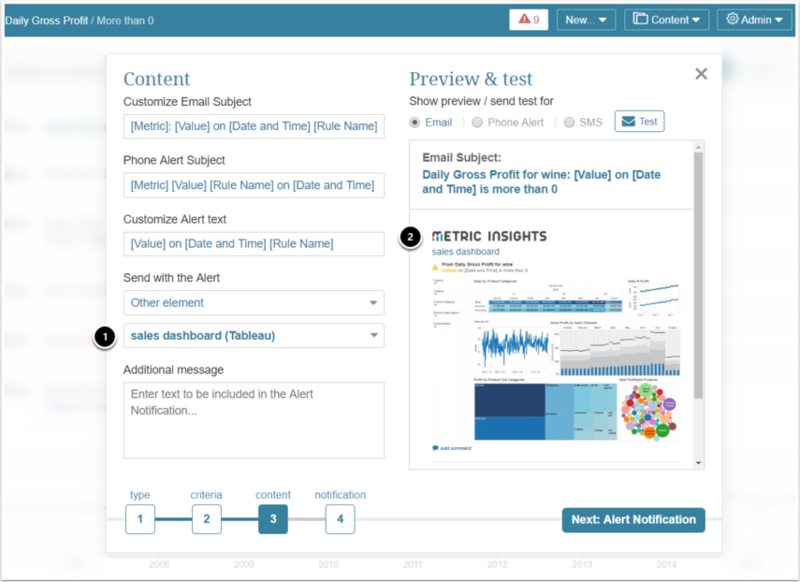 Preview the Alert message to make sure it contains the required Tableau Report. Go to New > Burst to open the Burst Editor. Click [+Add Tiles]. 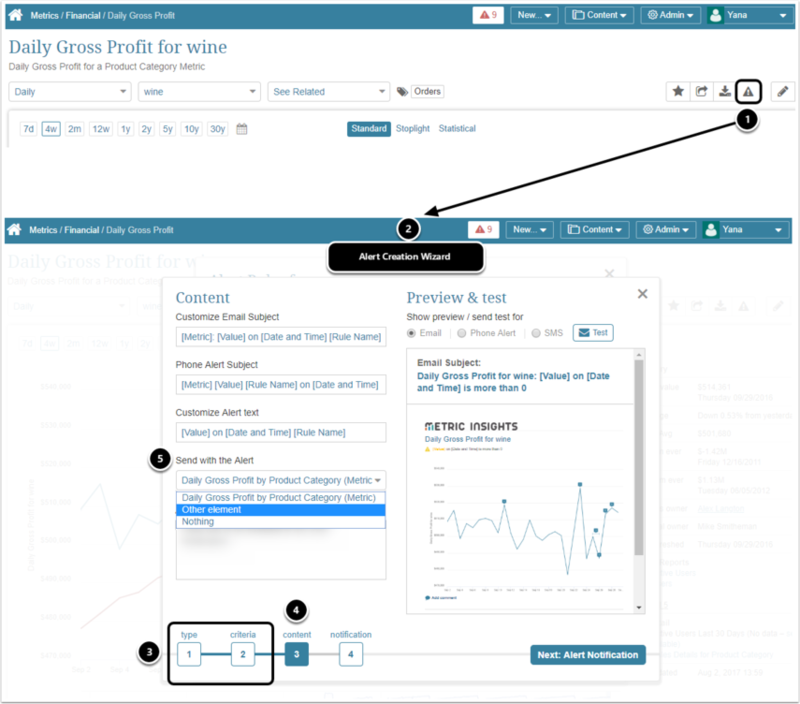 In the pop-up that appears, select a Tableau Report. Specify the Schedule and Delivery Method for your Burst. After verifying all settings, [Save & Enable]. If you need to test the Burst layout, click [Send now]. 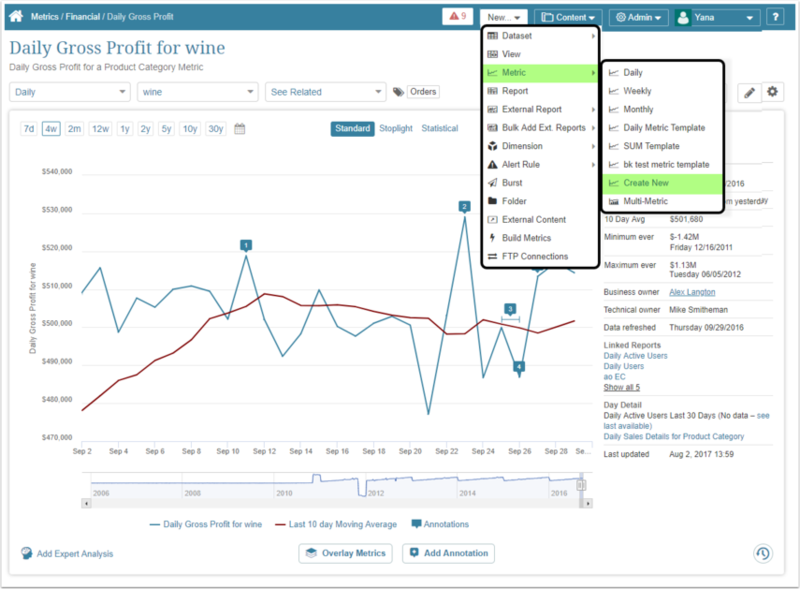 You can also embed the Tableau Report as Visualization in the Regular Report. Go to Report Editor > Report Content tab. 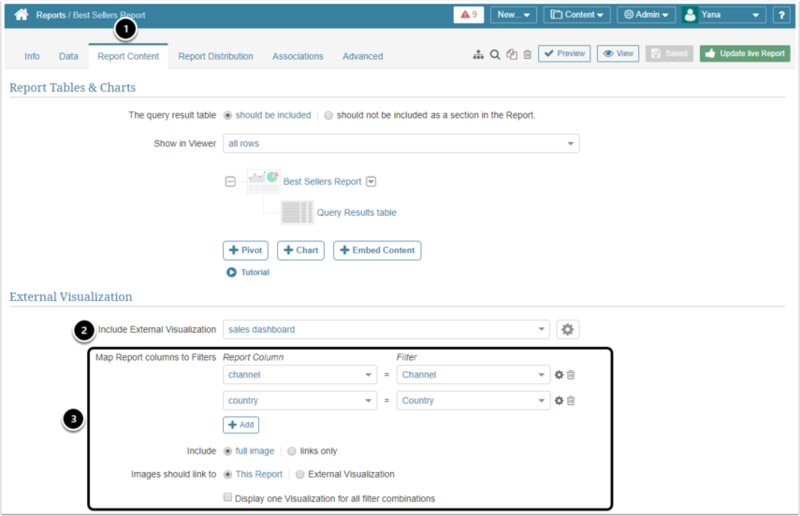 Select the Tableau Report you want to include as External Visualization. Verify the rest of the settings.